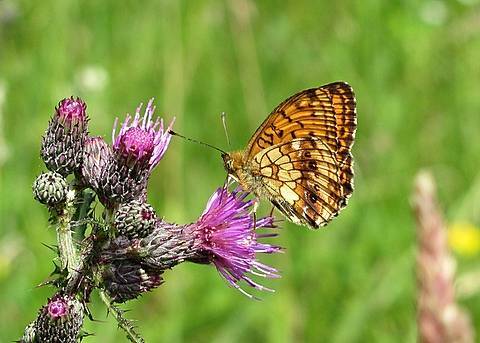 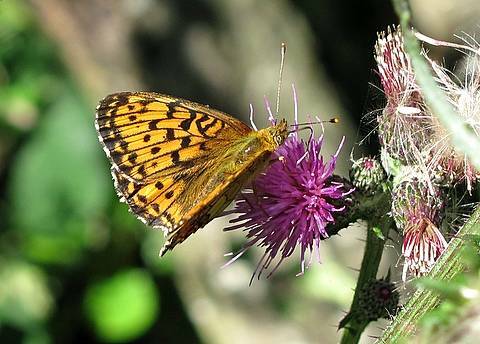 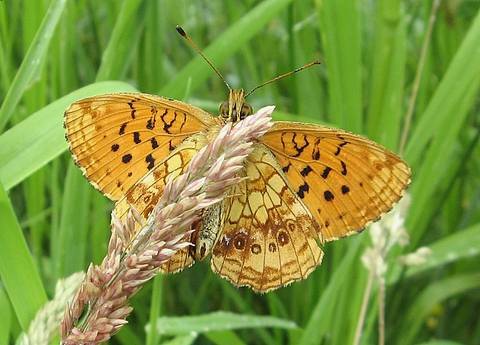 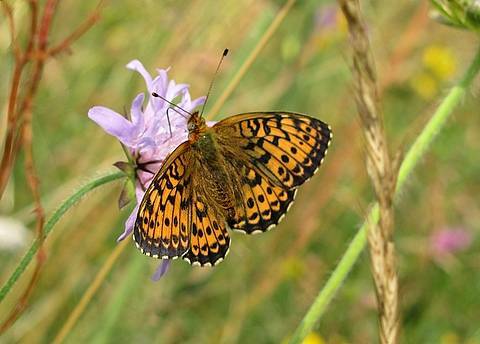 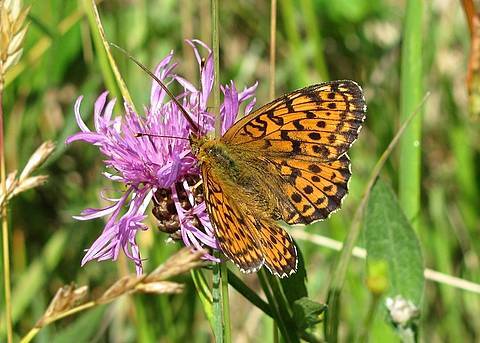 The Lesser Marbled Fritillary is a butterfly of damp places suited to its larval food plant Filipendula ulmaria. 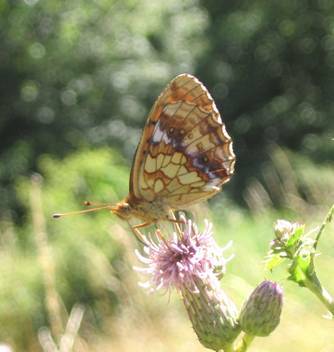 These are often margins and clearings near woodland but may also be alongside streams in open meadows. 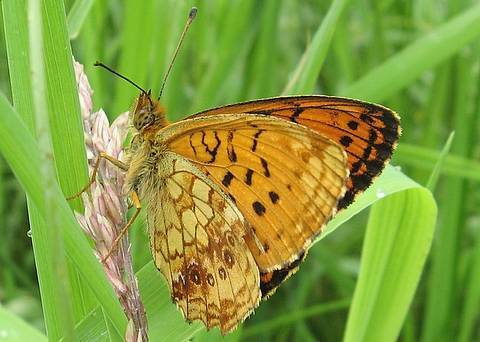 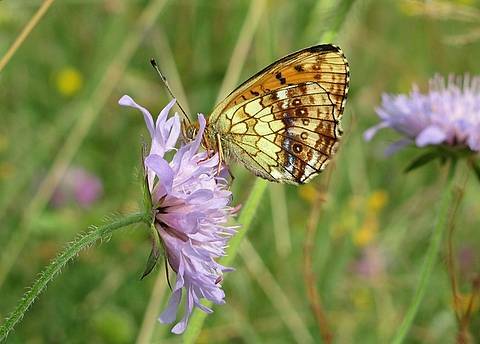 The underside of the butterfly closely resembles the Marbled Fritillary (Brenthis daphne.) 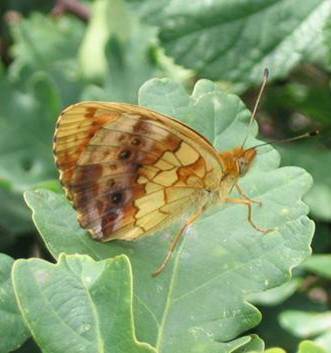 However, the yellow spot in space 4 (right in the centre of the wing) is clear yellow on ino and partially obscured with rusty red on daphne. 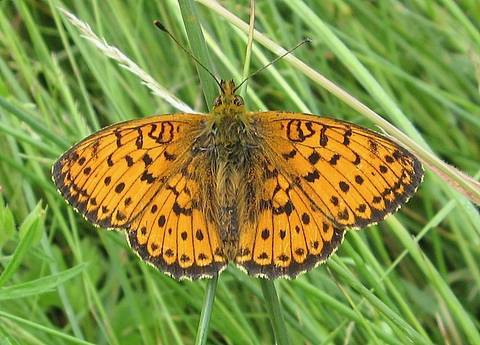 From the uppersides there is little confusion as B.ino is rather smaller with a less vivid orange colour and a solid black border to the wings. 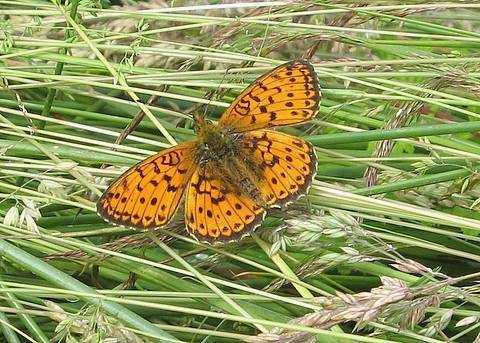 B.daphne is the commoner and more widespread species as the females lay on brambles. 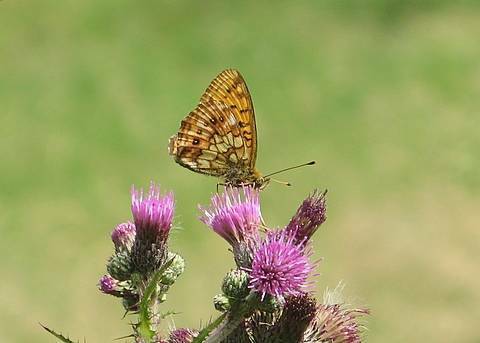 In habitats where both larval food plants are growing in proximity it is possible to find the two species side by side nectaring on thistles for example.